Paintings will arrive from their home at the Rijksmuseum, streaming down the magic HyperText Transfer Protocol, to shine bright on your shiny screens. But they always get a bit jumbled on the way. And so you're going to have to do some unjumbling. You know, jigsaw-wise. Pro tip: start by moving the edge pieces (look for the ones that don't completely fill the tile). They will sit on the right and bottom edges. And then proceed! If you get stuck or bored you can always autocomplete... Good luck. 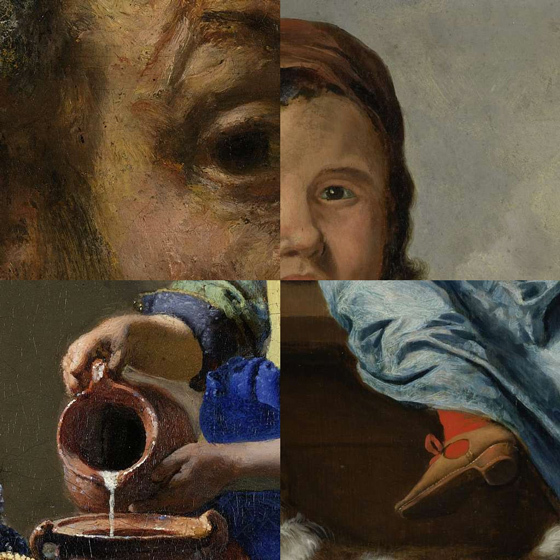 and developed using the Rijksmuseum API. All images are part of the Rijksmuseum Collection.